One new feature of the Windows 10 Anniversary Update 9 Windows 10 Anniversary Update Features You'll Love 9 Windows 10 Anniversary Update Features You'll Love Are you still on the fence about the Windows 10 Anniversary Update? We have summarized the most important new features. Be sure to try all of them if you've already upgraded! Read More caught our attention: You can now sync Android phone notifications with your PC and perform actions. 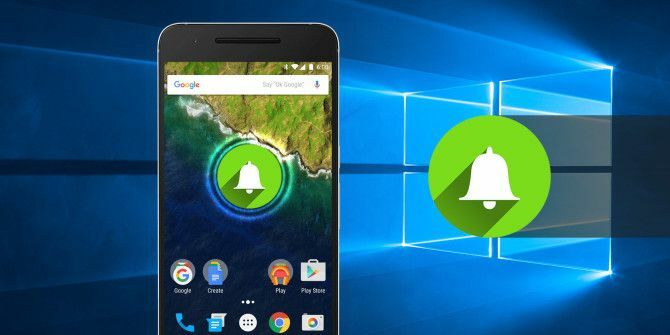 While apps like Pushbullet can sync Android with Windows Pushbullet Puts Your Android And PC On The Same Wavelength Pushbullet Puts Your Android And PC On The Same Wavelength Find out how you can keep your Android perfectly synced with your PC -- push your phone's notifications to your desktop, share files, and much more! Read More already, it’s nice to have this kind of integration on the operating system (OS) level. 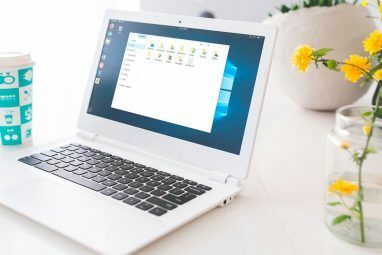 You don’t need to install any new software on your PC, apart from making sure you get the Windows 10 Anniversary Update How to Get the Windows 10 Anniversary Update Now How to Get the Windows 10 Anniversary Update Now Windows 10 is receiving a major upgrade this month. The Anniversary Update is rolling out slowly. We show you how to upgrade now, how to delay the upgrade, and which pitfalls to watch out for. Read More . On your phone, all you need is Microsoft’s voice activated smart assistant, Cortana. Microsoft has an official Cortana app 7 Siri Alternatives for Android: Google Assistant, Cortana, Alexa, and More 7 Siri Alternatives for Android: Google Assistant, Cortana, Alexa, and More Looking for the best Android equivalent to Siri? Check out Google Assistant, Cortana, Alexa, and more Siri alternatives. Read More on the Play Store, but it is region restricted. Right now, only U.S. users can download it. If you live in the States, get it from the Play Store. Users outside the U.S. will need to download the APK and manually install Cortana on their Android. We have a simple guide to manually install apps on Android How to Manually Install or Sideload Apps on Android How to Manually Install or Sideload Apps on Android Want to sideload apps on your Android phone? Installing APKs manually on Android opens up a whole new world of apps, and it's easy to do. Read More . Don’t worry, it’s an easy process and you won’t break anything. APK files can often carry malware, so we recommend getting it from a trusted APK repository like APK Mirror. Get the latest version of Cortana from it, which should be updated on July 31, 2016, or later. Even though Cortana’s smart voice features do not work on non-U.S. phones yet, the Android notification sync works just fine. Once you downloaded and installed the Cortana app, you will need to sign in with the same Microsoft account that you are using on Windows 10. Note: Android notification sync does not work without an active Microsoft account on Windows The Pros and Cons of Using a Microsoft Account with Windows The Pros and Cons of Using a Microsoft Account with Windows A single Microsoft Account allows you to log into a wide range of Microsoft services and apps. We show you the pros and cons of using a Microsoft Account with Windows. Read More . After signing in, check the box to Let Cortana respond to Hey Cortana commands. 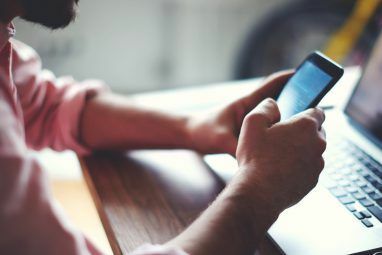 You probably won’t use it, since the OK Google commands on Android Why Every Android User Needs to Be Using "OK Google" Why Every Android User Needs to Be Using "OK Google" The "OK Google" command is extremely useful, but lots of Android users aren't even taking advantage of it. Here's to make the best of it! Read More are so much better. But hey, it doesn’t hurt to have options. Don’t worry, this does not affect the Android-to-Windows notification sync at all. Tap the three-line icon at the top-left of the screen to bring up the menu. Choose Sync Notifications from the list. Here you can choose what notifications you’d like to sync with your Windows PC. The default options are notifications for missed calls, text messages, and low battery warnings. The last option, App Notifications Sync, lets you sync any app’s alerts. But it requires you to grant Cortana permission to Android’s notifications What Are Android Permissions and Why Should You Care? What Are Android Permissions and Why Should You Care? Do you ever install Android apps without a second thought? Here's all you need to know on Android app permissions, how they've changed, and how it affects you. Read More . It’s a quick two-step process. Once you’ve granted permission, tap Choose which apps to sync to see a list of all your apps. Slide the button to the right on any app. And that’s it, you’re done. Your Android’s notifications will now show up in Windows 10’s Action Center! Now that you’ve set everything up, you must want to know what updates you get and actions you can take. Here’s a quick list. Notification actions are synced, which means dismissing an alert on Windows also dismisses it on Android. You will see alerts about missed calls, synced with your contact list in case it’s someone you know. You can also reply to these calls with a text message through Windows. You will see incoming text messages and can reply to them directly. Quick Replies can also be sent through the popup alert window for the notification. This Quick Reply function works with most popular messaging apps or email apps you have synced. We tested it with WhatsApp, Hangouts, Gmail, and Inbox by Google. If an app gets constant updates and you find it annoying, you can disable notifications through Windows itself. Click the Settings cogwheel icon and choose Don’t show notifications for this mobile app. While it’s a wonderful new feature in Windows 10, notification sync isn’t flawless. Remember, Cortana for Android is still in beta, so this can act buggy at times or not work as well as expected. App actions are limited. For example, if you like to tap “Archive” on an email from your Android, you can’t do that on Windows. There were times where I didn’t end up dismissing a notification because I wanted to take some action, but couldn’t. So I had to switch to the phone, which sort of defeats the purpose of this syncing. Email notifications are useless. You don’t see the body text, only the sender and the subject, which is a deal-breaker for me. Plus, you only see the sender’s name, not which email address they are emailing you from. So it’s impossible to know if an office friend has sent a work update or a silly cat video. Look Ma, SMS spam! The spam filter of Truemessenger Identify Unknown Numbers and Block Spam Text Messages with Truemessenger for Android Identify Unknown Numbers and Block Spam Text Messages with Truemessenger for Android Truemessenger is a fantastic new app for sending and receiving text messages, and it can tell you who an unknown number is and block spam. 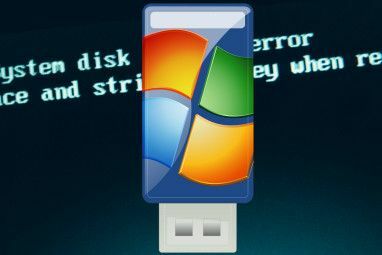 Read More is defunct after you sync Windows with Android. If you get a lot of junk texts throughout the day, you’ll want to disable the pop-up alerts for messages. It’s not Microsoft’s fault, but it’s super annoying! At the moment, apps available on Windows 10 don’t sync with apps on Android. For example, if I click on a notification from Gmail, it won’t open my Windows Gmail app. It’s not a deal-breaker, but it’s hopefully added in future updates. Apps like Pushbullet have been doing this notification syncing for some time now, but Microsoft’s late entry isn’t bad at all. In fact, having a list of all notifications from phone and PC in one place (the Action Center) is quite nice, and much less distracting. It’s bound to be a matter of taste, but if you have already used Pushbullet, will you switch to Cortana? What are your thoughts on Windows embracing Android? Explore more about: Android Tips, Microsoft Cortana, Windows 10, Windows Action Center. One thing I really wish for is once I read a text or email on one device, don't show it in the notification drawer of the other device anymore. It's annoying see every single text you received in the windows notification draw on your pc when you get home.